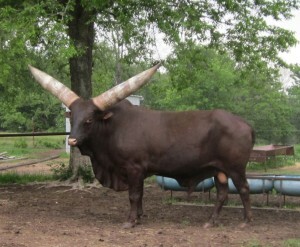 Animals and other Watusi-related items for sale by our members or the organization itself. If you have something for sale that you’d like to list, please contact us at info@watusi.org. 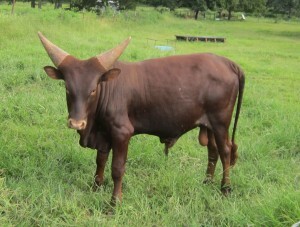 Red Cloud is dark foundation pure bull out of BWS Thunder Storm, a sire known to put thick horns on his offspring. 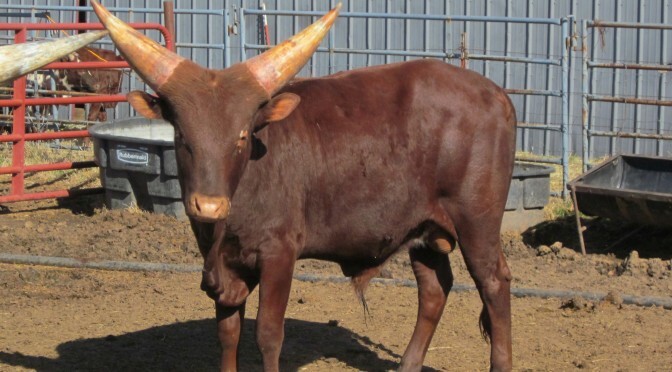 This 2 year old bull would be a fine addition to any bloodlines. Our classifieds give members an opportunity to promote the animals and items they have for sale. 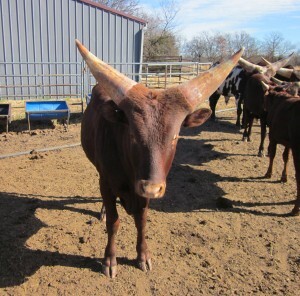 If you have Watusi cattle or items available to purchase, please email info@watusi.org to submit. 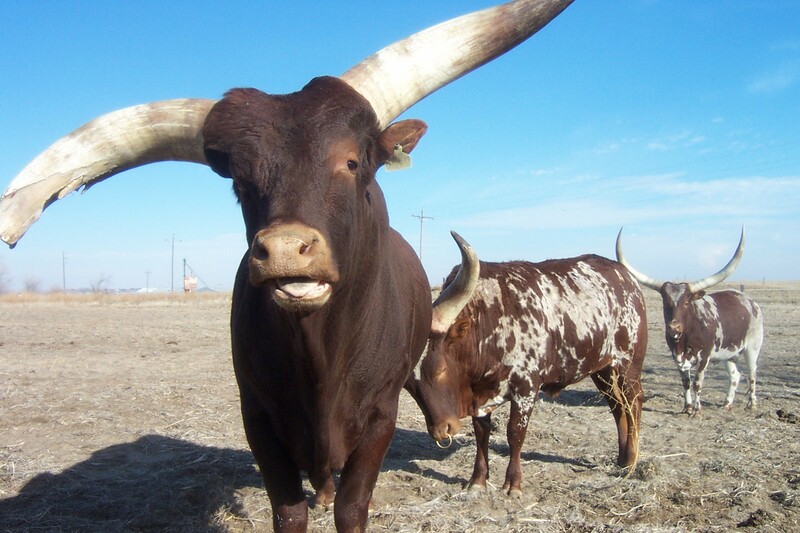 Looking for a snazzy way to promote this great breed? 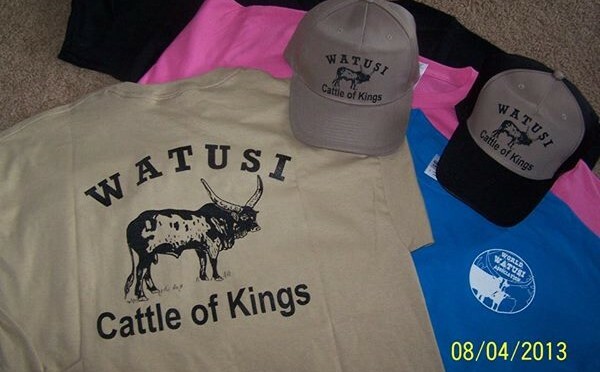 The World Watusi Association offers a variety of apparel items for sale! Shirts, hoodies, hats, jackets, and a tote bag, oh my! To purchase, please contact Robin at the office (254) 797-3032 or info@watusi.org. 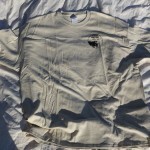 Prices shown do not include shipping charges. 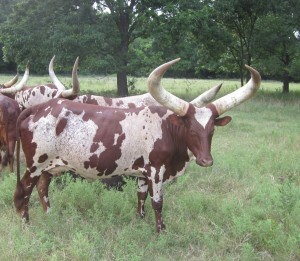 We are selling these Watusi pairs if you are interested. 3. Bonnie Lass and her bull calf Not Reg. 11. 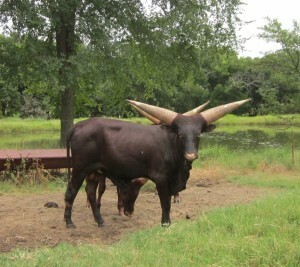 Horn T Brazil and Stonwaller, Native Pure Sire: Liars Lake Kenya Mac Dam: Horn T Brazil Born 10-09-2014. 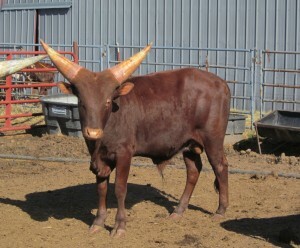 By TW Bwana (by JCS Crypton and out of Klauss’s Dolly Parton) and BWS Miss Cora (by WMS Bow and out of WMS Candy). Contact Barry Retchloff via email at barry@retchloff.com or phone at (417) 767-1989 or (516) 663-0840. CAPTAIN BUTLER HAS BEEN SOLD. THANK YOU. The time has come to change herd sires, so now that I’ve secured his replacement, I’m putting BWS Captain Butler up for sale. He just turned 8 years old, DOB 4-18-05. 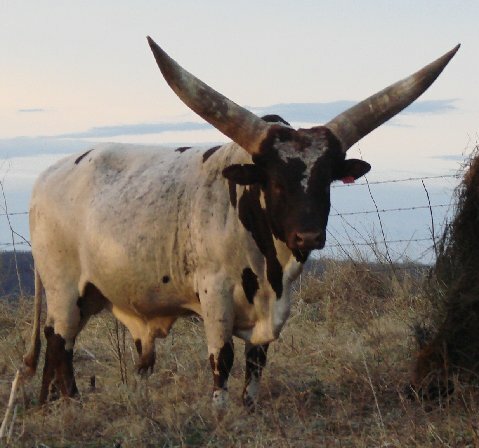 He’s a Foundation Pure proven herd sire having multiple calves on the ground in the US, most of which I have pictures if requested. He’s a Sea Wolf son and out of O’Hara, which links him to Catskill Thunder and a double dose of Rambo, all great producers in the breed. Sea Wolf really gave Butler a lot of muscle that he’ll pass to his offspring, especially in the back end. I attached 3 pictures of him by himself, as well as his full pedigree I mapped out, and a comparison picture of him with a new born bull calf and my 3 year old (at that time) cow. 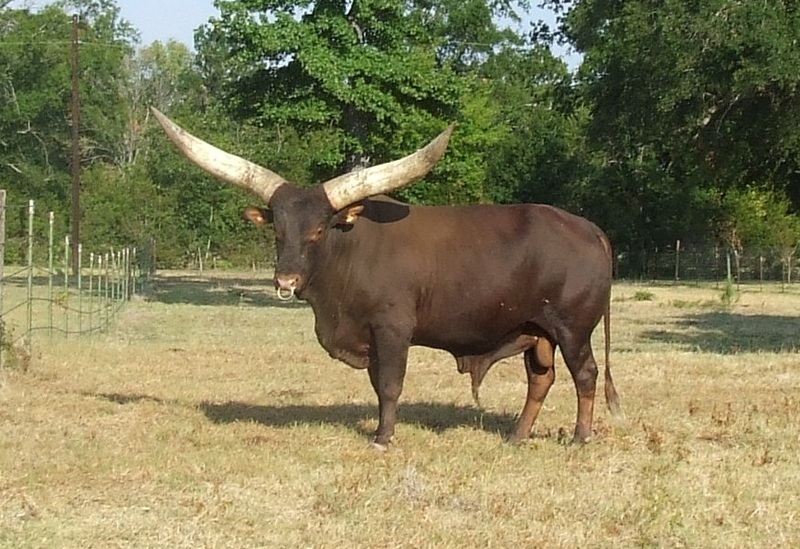 The pictures don’t do him justice, he really is a large meaty bull, especially for a Watusi. 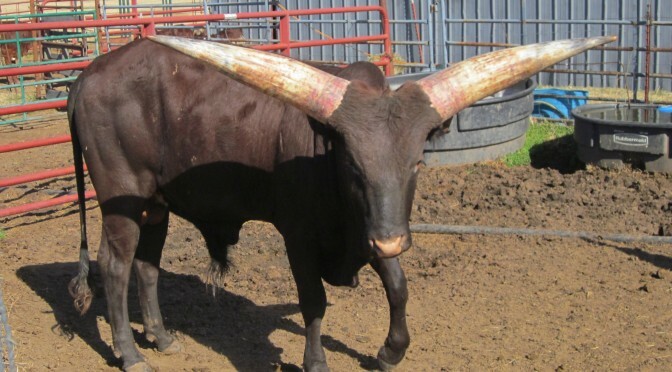 His horns measured 69″ tip to tip & 23″ base circumference at the hair line on 7/30/12, and that was the only time he was measured at RRH. 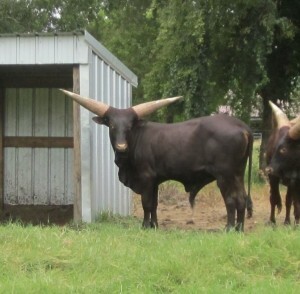 You can check my website for measurements on other cattle I own if you’d like to compare. 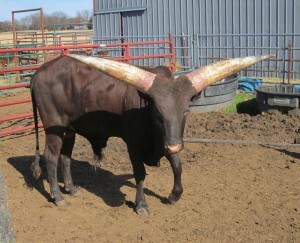 Butler will add both body and horn to your herd, and he’s very good at his job as a bull. He’s located in East Texas and can be delivered anywhere for some fuel cost. I’m asking $2,500 for him, he comes with registration papers, and I can supply any info on Butler or his offspring via email, phone, or mail. Butler is a lot of bang for your buck, and I’m sure others will agree. Feel free to contact me anytime, and also feel free to spread the word around, I’d sure appreciate it! We are completely out of grass, don’t let them eat me!